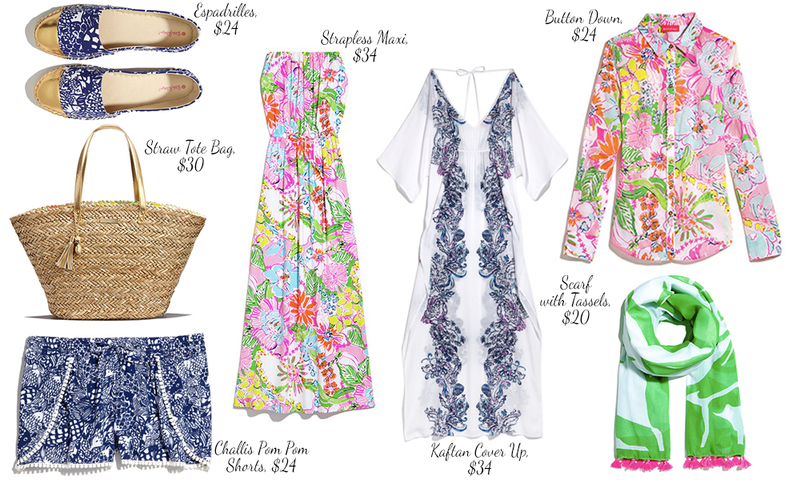 Well, Target was released the Lookbook for the Lilly Pulitzer for Target Collection and I have to say, it looks like I'll be spending a lot of money. I'm really quite impressed with the variety of items, as well as the price points. Dresses range from $32 to $38 dollars, tops from $22 to $30 and shorts and pants from $22 to $28. There is also a romper and jumpsuit here and there. I was a bit surprised to see that there are no skirts. The collection won't be released until April 19th, but I've already got my eye on a few things. Personally, I find myself drawn to the cover-ups and maxi-dresses rather than the shift dresses, although I think the Nosie Posie Shift Dress is pretty adorable. 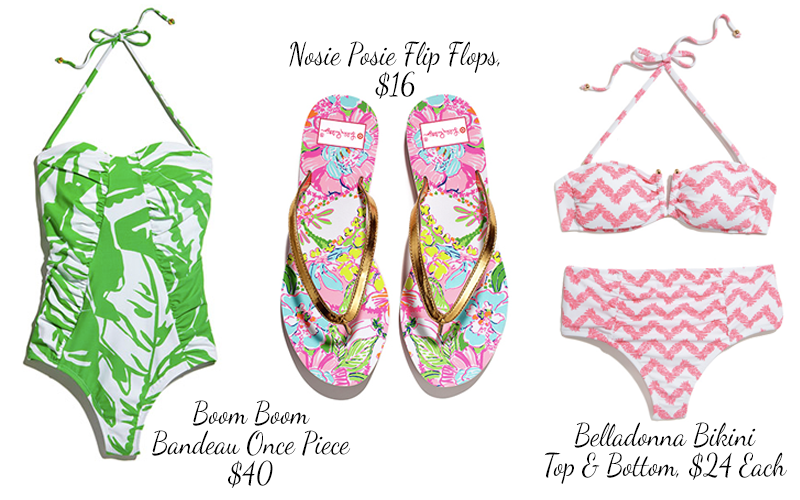 I am also loving the Boom Boom one piece swim suit and Challis Pom Pom Shorts in Upstream. Will I go crazy buying scarves? Yes. Yes, I will. Do I need to exert some kind of control because there is no way I need to own all of thos...yes, yes I should. 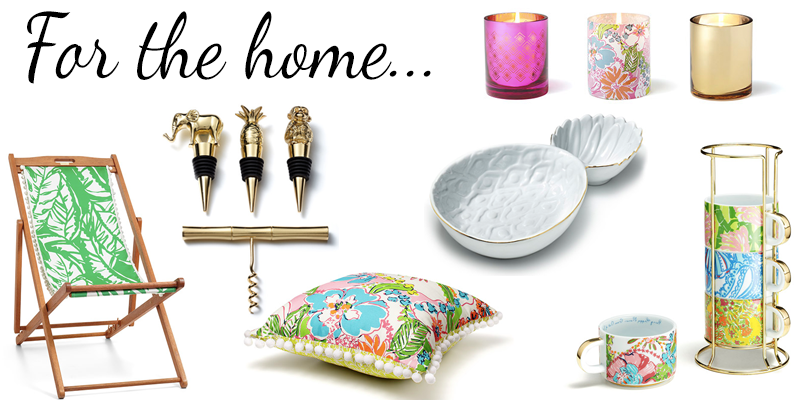 What's going to really drain my wallet is the home goods collection. Which isn't the most logical because I honestly have no idea where I am going to put. We're getting married, so we have china and appliances taking over our apartment already, nor do we have a great outdoor space (much to my great, great disappointment). Perhaps I'll pick up a few lovelies for when the day that we own our own home finally arrives? Regardless of your living situation or how much space you have, there are quite a few items anyone can fit into their lives. My favorites are the Gold Plated Bar Set and Ceramic Mug and Caddy. Those will definitely be joining me at home! Find anything that strikes your fancy or are you going to pass this collection up? That maxi is a really pretty pattern and I like those shorts as well. Definitely going to be running to Target the day it's released! love that cute little straw tote! I didn't even know this was a thing but I'm obsessed with that maxi, those shorts, and basically everything in the home section! OMG. I hadn't seen this yet. That pineapple tray and the straw bag are at the top of my list!!! !